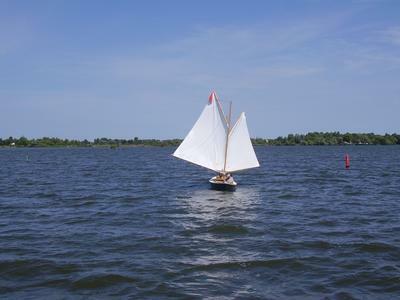 Sailing is the craft of controlling a boat that uses the force of the wind as a source of movement. 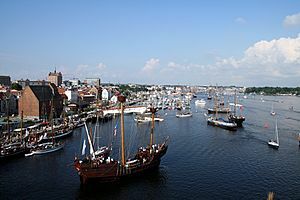 Sailing boats were very important to move cargo and people. Starting at the end of the 19th century they were gradually replaced by the boats that used steam to generate motion. 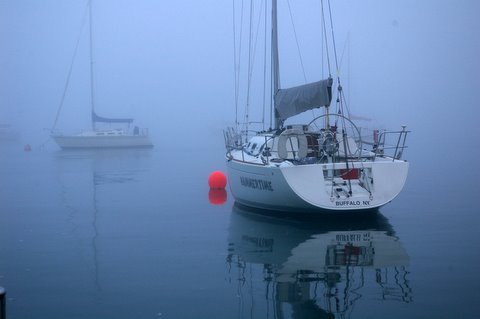 Today, sailing is a hobby some people have. 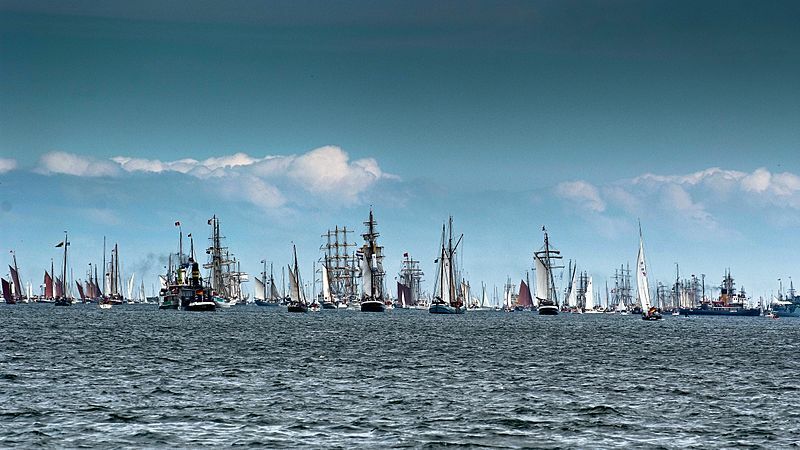 In some regions of the world, sailing vessels still keep their importance. 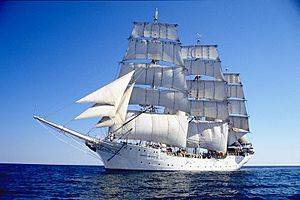 Many military forces also have sailing vessels for the purpose of training. Sailing is also a competitive sport. It is one of the sports in the Olympic Games. Sailing in front of Helsinki, Finland. 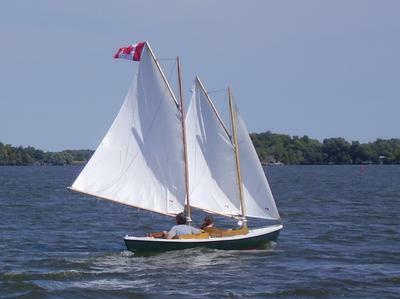 8mR Sagitta (Camper & Nicholson 1929), a true sailboat with no motor, lowers its mainsail after a training session before returning to its mooring with the foresail only. A Contender dinghy on a reach. 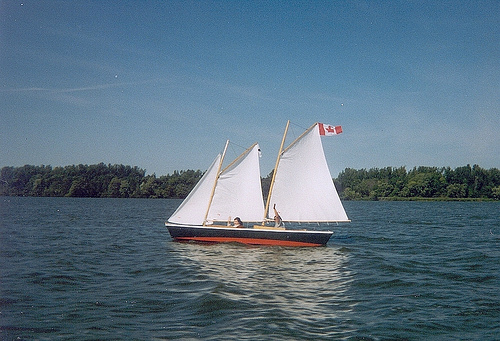 Standing rigging (on the left) and running rigging (on the right), on a sailing boat. A yacht race on Lake Päijänne in Jyväskylä, Finland. Sailing Facts for Kids. Kiddle Encyclopedia.